When we think about the Galaxy S4, we can think of one very big complaint, the fact that it runs on Samsung’s so bloated TouchWiz interface. This has been an issue with most of Samsung’s flagship devices as many users prefer a more light version of Android such as Vanilla Android used in the Nexus range of devices. Knowing this, Samsung has partnered up with Google and announced the release of a ‘Google Edition’ Galaxy S4 that will run on Stock Android, the same as a Nexus device just a lot more expensive. 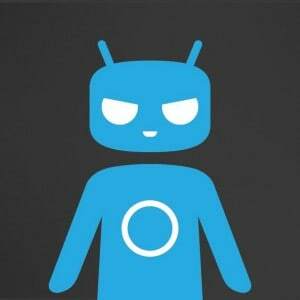 However, before you can acquire a Nexus S4, you can install one of the best Custom ROMs on the internet which is CyanogenMod. It is based on stock Android 4.2.2 and comes with lots of customization and zero bloatware. Luckily, 3 carrier branded Galaxy S4 versions have received the official CyanogenMod 10.1 Nightly which can be downloaded from the official CM page. If you want to install CM 10.1 nightly on your Galaxy S4 device you can follow the steps here or if you already know the procedure just download the latest GApps and place them on the SD card together with the ROM installation file. Assuming that you already have a custom recovery installed, just flash the ROM using it and that’s it. In the case of the Verizon Galaxy you will probably have to unlock the bootloader first so be careful.